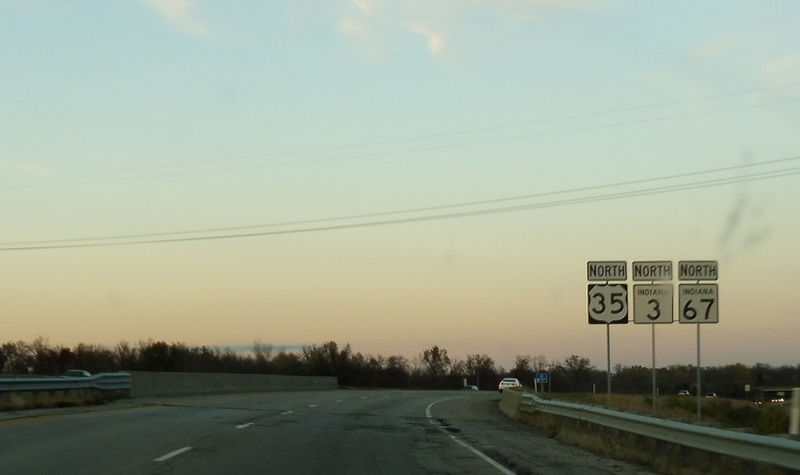 Reassurance shield as US 35 joins the concurrency as we head up the east side of Muncie. 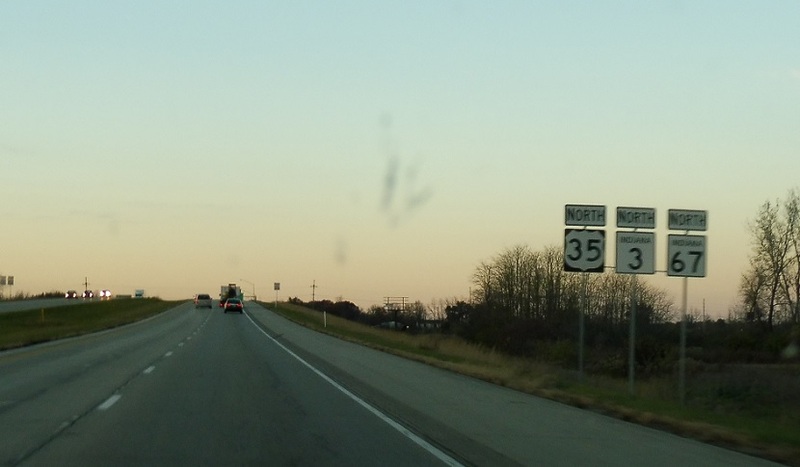 After Memorial Drive, we’re half a mile from SR 32. 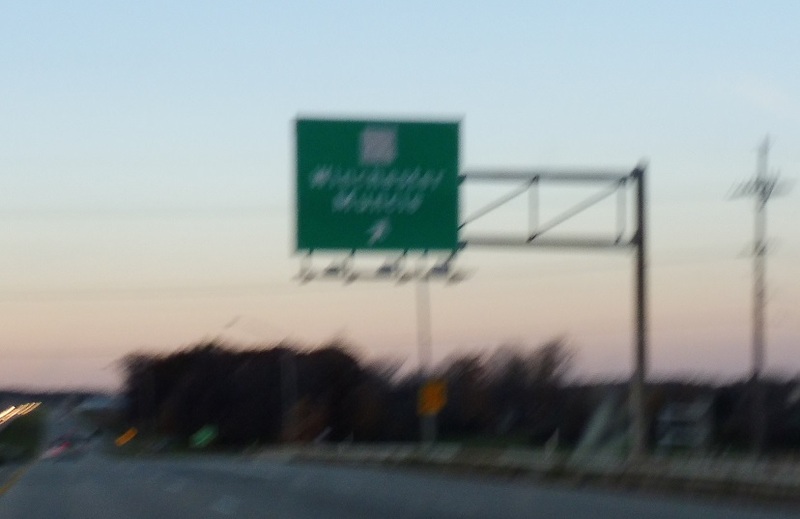 Reassurance shield after Memorial Drive. 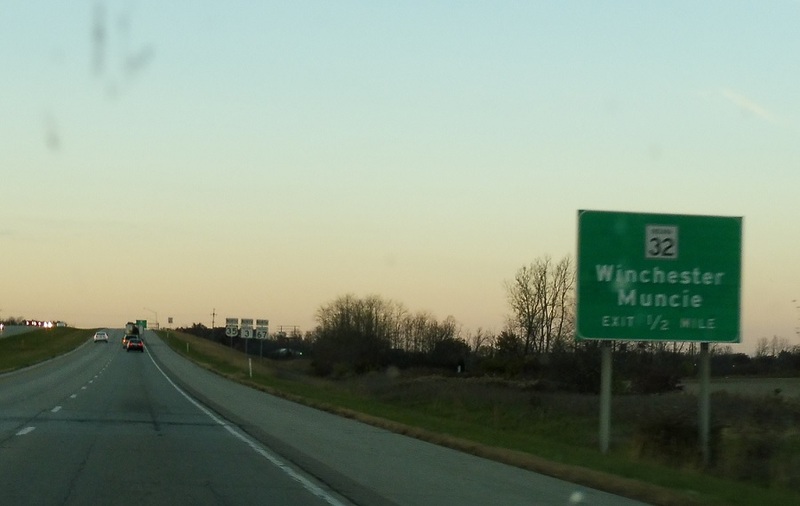 As we enter city limits, exit for Indiana 32, which heads west into downtown Muncie and east to Winchester.